» What software is in the Library and 24/7 computer room? There is a small charge for each page printed or photocopied. This is taken directly from your print credit account. You can top up your print credits online at http://webpay.hud.ac.uk/print/. All our printers will print both A4 and A3 in either black & white (mono) or colour. They default to A4 mono: to change to A3, change the paper size in the print settings (e.g. from the "print" dialogue in Word). To print in colour, select the printer called "colour printing jobs on lanzarote". If you wish to print to acetate, card or specialist papers, please visit the Library Help Desk on Floor 4 of the Library. We constantly check our prices with other universities and local providers to ensure we are remaining competitive. Can I print from my laptop, or from home? Our Mobile Print service allows you to print from your own device, whether you are on or off campus. You can then visit the library or 24/7 rooms to release and print your work when convenient. Please note that you must collect your printing within 12 hours as it will be removed from the queue after this time. How do I put print credits on my account? You can add from £2 to £50. Full details of how to use the Web Payment system are here. You can also top up your account using the self-service print kiosks. The library has two of these: one located on floor 4 of the library and one outside the 24/7 rooms. 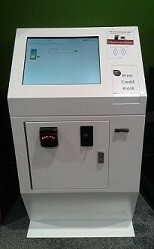 You will need to scan your card on the reader on the top of the machine. The first time you use it, you will need to enter your username and password. The machine accepts notes and coins. Follow the instructions on screen to add balance to your account, and please ensure that you touch the "Tap to Finish" icon to complete the transaction. Students nearing the end of their course are advised not to add more money to their account than they expect to use, as refunds will not be given for unused credit. How do I check my print / photocopying credit? 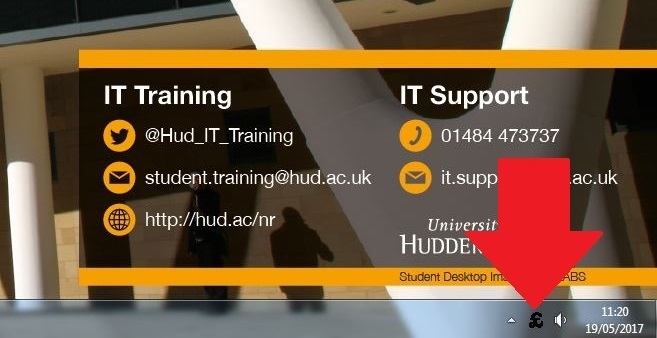 When logged into a campus student PC, you can check how much credit you have on your printing account by clicking on the £ sign in the bottom right hand corner of your screen. You can also see how much credit you have using the print kiosks (see above) or within the Student Hub on the "My Studies" page. What software is in the Library and 24/7 computer room?